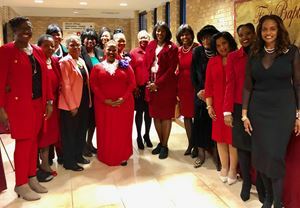 Greater Huntsville celebrates with Link Gwendolyn E. Boyd and Huntsville Alumnae Chapter of Delta Sigma Theta Sorority, Incorporated during their 106th Founders' Day Observance - January 13, 2019. 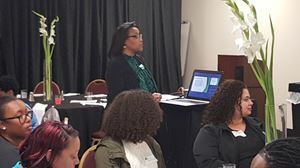 Link Richele Jordan-Davis presenting at Greater Huntsville Chapter's Weekend Scholars 2019 STEAMposium. 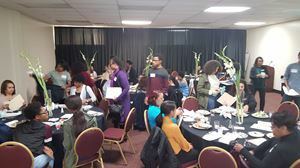 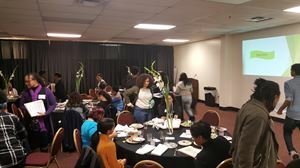 Greater Huntsville Chapter's Weekend Scholars 2019 STEAMposium (STEM based discussions, activities and interactive exhibits from local scientists, organizations, and companies). 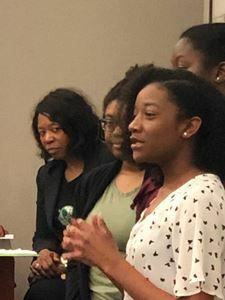 Link Cheryl Moore-Davis listening to students response during Greater Huntsville Chapter's Weekend Scholars 2019 STEAMposium. 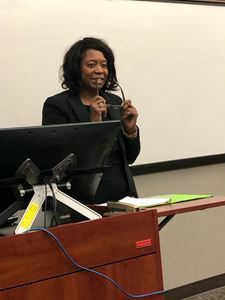 Links Yvette J. Evans, Ed.D. 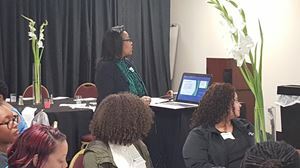 (Presenter/Panel Member) and LaFreeda Jordan at Greater Huntsville Chapter's Weekend Scholars 2019 STEAMposium. 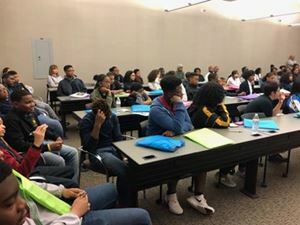 Greater Huntsville Chapter's Weekend Scholars 2019 STEAMposium. 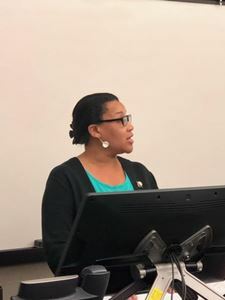 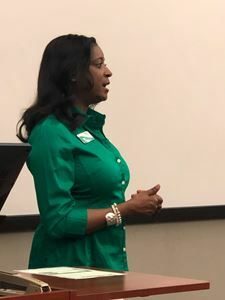 Link Cheryl Moore-Davis presents at Greater Huntsville Chapter's Weekend Scholars 2019 STEAMposium. 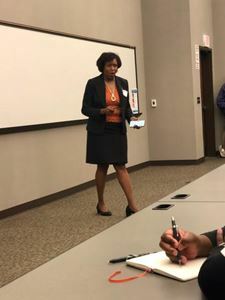 Link Kimberly A. Ford greets the community participants during Greater Huntsville Chapter's Weekend Scholars 2019 STEAMposium. 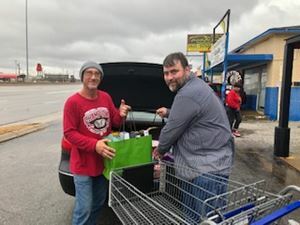 Greater Huntsville donates canned goods and toys to the Rose of Sharon Soup Kitchen and Thrift Store - December 14, 2018. 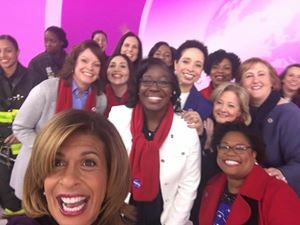 GHC celebrates Link Lakiesha V. Hawkins, Branch Chief for the Avionics Systems Integration Branch, during International Women's Day with NBC's Today Show in New York, Friday, March 8, 2019. 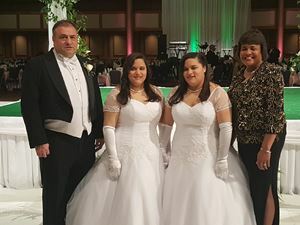 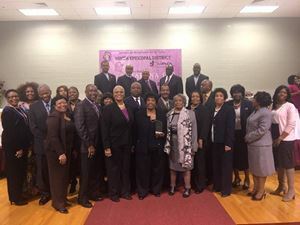 Greater Huntsville Chapter of The Links, Incorporated partners with 100 Black Men, Greater Huntsville Chapter in their programs and supports them during their 2017 Holiday Gala. 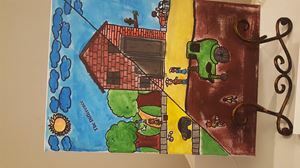 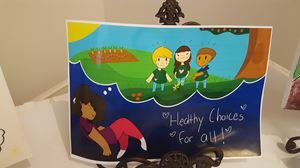 Greater Huntsville Chapter - Weekend Scholars participate in The Links, Incorporated 2018 National Art Poster Contest. 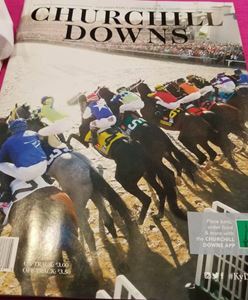 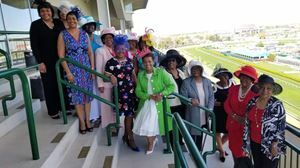 Greater Huntsville Celebrates "Links Day at the Races" Opening Day at Churchill Downs (Level 6 - Millionaires Row 6) - Louisville, Kentucky April 2018 Friendship Weekend. 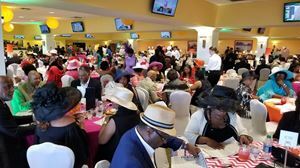 Greater Huntsville Celebrates "Links Day at the Races" Opening Day at Churchill Downs - Louisville, Kentucky April 2018 Friendship Weekend. 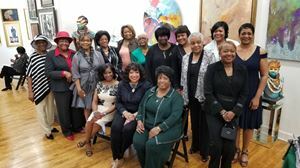 Greater Huntsville mingles with Link Margot James Copeland, 15th National President - Louisville, Kentucky April 2018 Friendship Weekend. 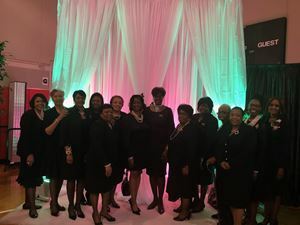 Greater Huntsville greets our Link Sister - Dr. Dorothy Buckhanan Wilson, 29th International President of Alpha Kappa Alpha Sorority, Incorporated during 2018 Founders Day Celebration. 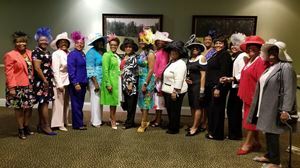 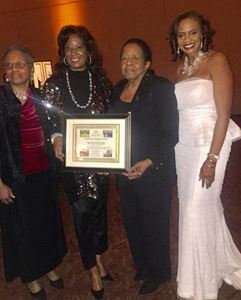 Greater Huntsville Celebrates Link Jeanette Jones, Ph.D. - March 3, 2018, the Ninth Episcopal District AME Women in Ministry held its first-ever Jarena Lee “Herstory” Awards Brunch. 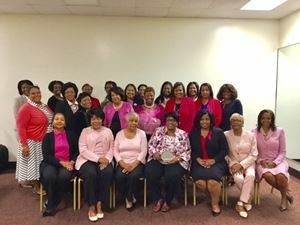 Greater Huntsville Celebrates Breast Cancer Awareness (October 20, 2016). 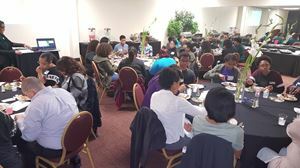 2018 Weekend Scholars Program - Orientation, 11 January 2018. 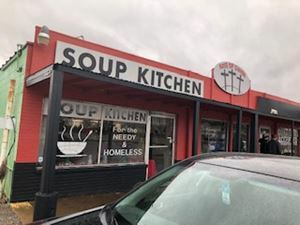 2017 Christmas-Wrap-Up (2 canned goods donation per wrapped gift to benefit the Huntsville Downtown Rescue Mission). 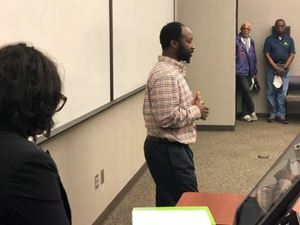 Greater Huntsville donates school supplies to the Northwest Precinct of the Huntsville Police Department in support their partnership with the Huntsville Community Watch Association (HWCA). 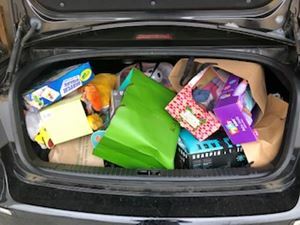 School supplies were collected and donated by Greater Huntsville to the Northwest Precinct of the Huntsville Police Department. 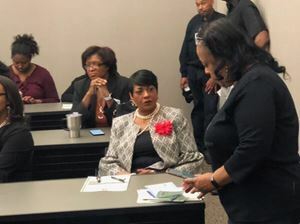 Greater Huntsville donates school supplies to the Northwest Precinct of the Huntsville Police Department in support of their partnership with the Huntsville Community Watch Association. 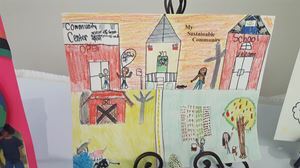 School supplies will be donated to the Boys & Girls Club. 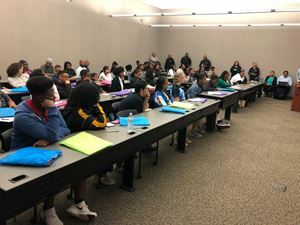 Featured in the photo are Captain Jeffery Rice, Sr. (HPD Northwest Precinct Commander) and Officer Jeremy Woods. 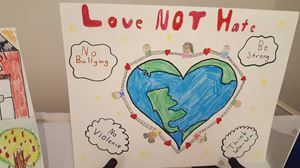 July 2017 - Greater Huntsville collected and donated school supplies to the Northwest Precinct of the Huntsville Police Department. 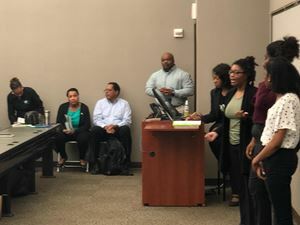 Greater Huntsville donates school supplies to the Boys and Girls Club.